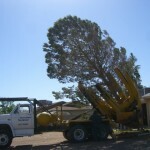 Tree removal is a specialized area of service we offer to our clients in the Las Vegas Valley – from North Las Vegas to Henderson and Boulder City. We utilize state of the art machinery to complete these jobs in a safe manner. Our professional tree removal crews remove the tree(s) and all debris – but we can leave the firewood if you prefer. 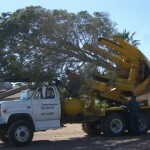 – Tree removal is very important to consider when trying to maintain the value of your property. – Removing certain trees that may be crowding and harming other trees can enhance the beauty of your property. 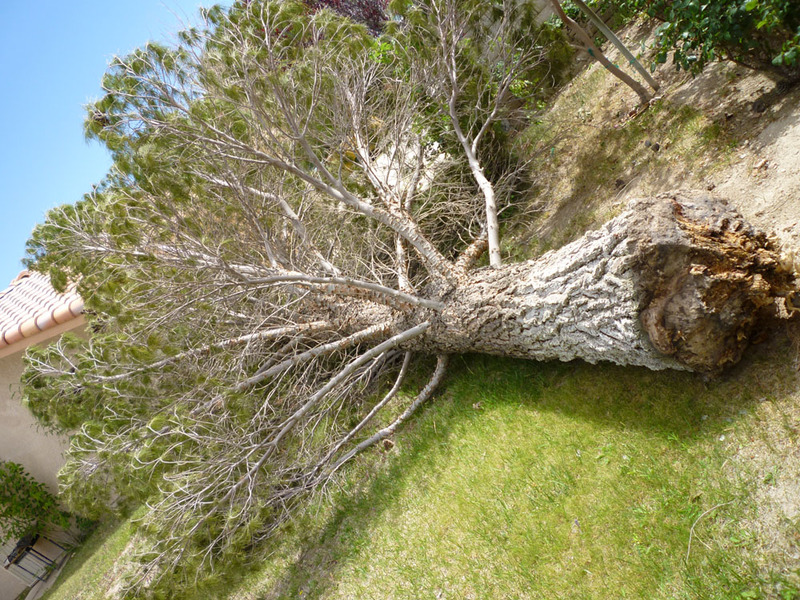 – Dead or dying trees are hazardous and should be cut down properly and removed safely by a professional. Palm trees are tough, sturdy and resilient – hence removing them – especially older or tall ones – should be left to the professionals. 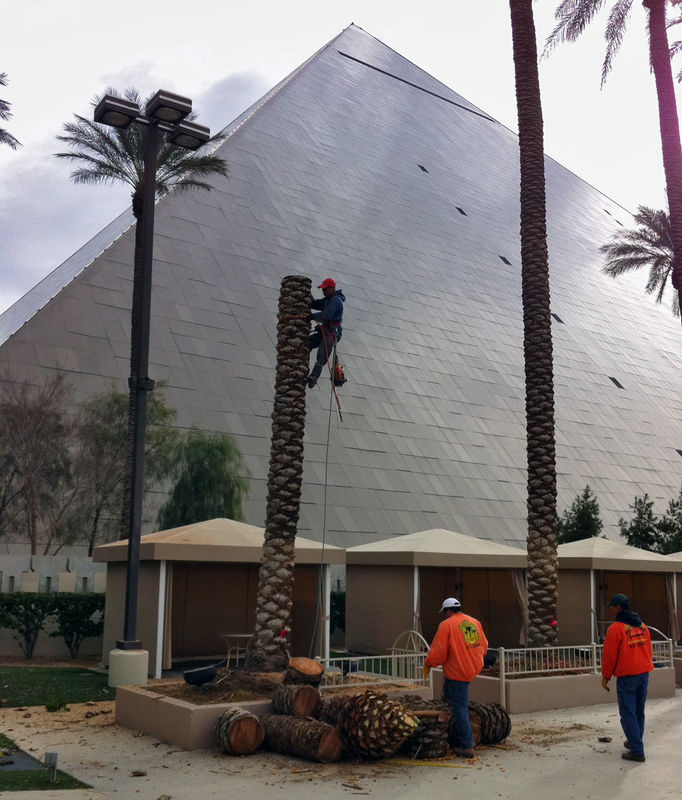 We employ experienced tree climbers and trained bucket truck operators to perform any type of tree removal – including palm tree removals – in and around Las Vegas. But we don’t only remove palm trees – we remove any and all trees – including Pine trees, Oak trees, Olive trees, African Sumac trees, Oleanders, Juniper trees, Mulberry trees, Plum trees & any other tree you might have on your property. Trees in Las Vegas are removed for a variety of reasons including decline, death, safety hazards, and public construction. Because tree removal is a delicate yet dangerous job Affordable Tree Service places safety as our first priority. Our team members attend weekly safety meetings to protect both themselves and our clients. Our arborists remove trees using the latest techniques to ensure an effective job. 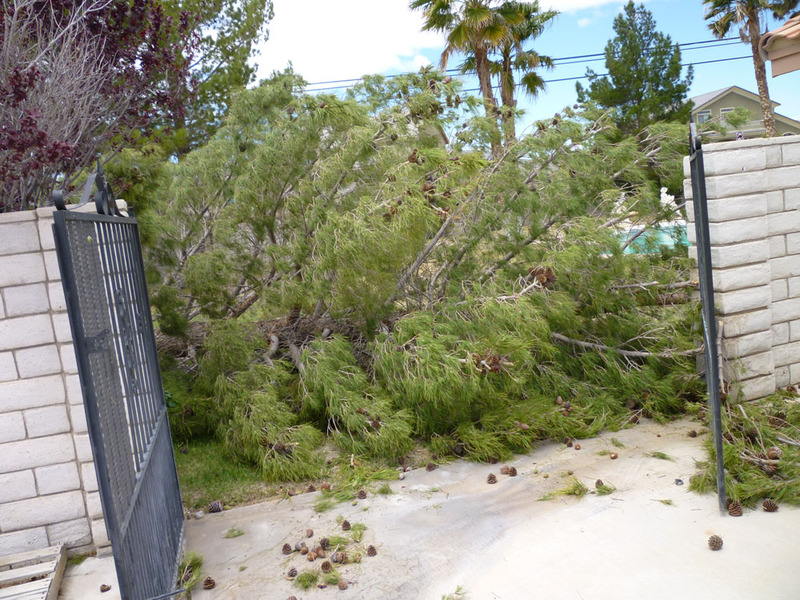 High winds and fierce storms are more common in Las Vegas than you might think – especially in the spring. Hurricane-strength wind gusts over 75 mpH unfortunately wreak havoc on many trees. Trees get damaged, split, uprooted or simply knocked over, damaging property and blocking roads. Affordable Tree Service safely and quickly removes fallen or damaged trees – including clean-up and haul-away of all debris. See how the Affordable Tree Service crew cut down and removed the large Pine Tree seen on the left. Why Choose Affordable Tree Service?